We do not have a shelter facility and operate solely out of foster homes. This ensures that all of our beagles learn the skills that they need to be successful family members when they move to their forever homes. We have been rescuing beagles since 1999 and, to date, have rescued more than 3000 beagles in North Carolina. We are committed to bringing together humans and hounds for a lifetime of love and pleasure in each other’s company! Our goal here at TBR is simple: to find great, lifelong, loving homes for as many beagles as possible! Triangle Beagle Rescue of NC (“TriBeagles”) was started in the summer of 1999 by Susan Hogarth and a group of Raleigh-Chapel Hill area beagle enthusiasts who want to see all homeless beagles in the lifetime homes they deserve. In the summer of 2000, TriBeagles formed a Board of Directors and began the incorporation process. We became incorporated in the fall of 2000 as a Federal tax-exempt organization. We have been committed to bringing together humans and hounds for a lifetime of love and pleasure in each other’s company ever since! One of the biggest needs that we have is a place to keep the rescue beagles until we can find their new forever home. Since we don’t have a shelter, we depend on Foster Homes. The beagles stay in these homes until we can find a permanent home for them. If you have room for an extra dog, it’s one of the best ways that you can volunteer. The beagles can stay anywhere from a couple of weeks to a couple of months, depending on the amount of work the dog needs. 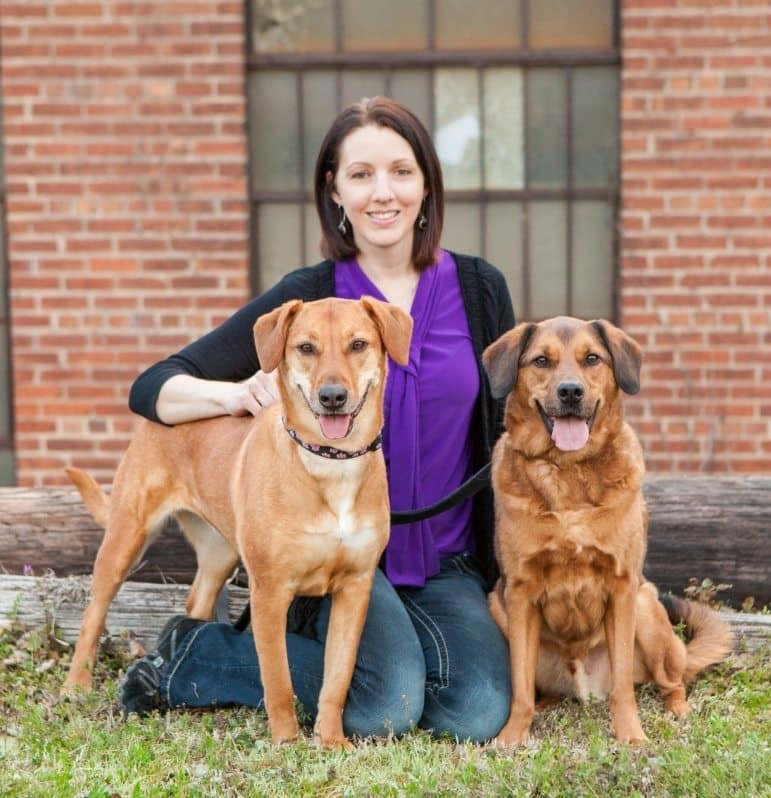 Fosters select which dogs they are ready to foster and when they are ready to foster. Fostering is a big commitment, but a very fulfilling one! If you’ve thought about adopting a beagle, but aren’t quite sure if they’re the breed for you, fostering is a wonderful way to find out about the breed and whether it’s suitable for your lifestyle. If you think you’d be interested in fostering one of our homeless beagles, read our foster home agreement for more information and then fill out an application. Mention on the form that you would like to foster. We are currently doing adoptathons at both PetSmart (Brier Creek) and at AniMall (in Cary) once a month. If you have a couple of hours on Saturday or Sunday that you can give us, we can use your help here. All that’s required is going to the adoptathon location, helping to handle beagles, handing out literature about the rescue, and answering questions that prospective adopters may ask. We will also be doing special events where we’ll need volunteers. Check our home page often for upcoming volunteer opportunities! Part of applying to adopt a dog from TBR is going through a phone interview and home visit and we always need volunteers to help complete these. When performing a home visit or phone interview, you are supplied with all of the questions that you need to ask and simply enjoy a conversation with an applicant about beagles and fill in the blanks! The majority of our volunteer requests (including foster requests, transport help, phone interviews/home visit requests, and more) are posted to our Google group email list. It’s also a great place to hear amusing beagle anecdotes, ask or answer questions about beagles and experience beagle camaraderie. To join our group go to https://groups.google.com/d/forum/trianglebeaglerescue. The group is moderated so your request to join will need to be approved before you can post on the page. My love for beagles began around age 12, when I discovered the breed in the WorldBook Encyclopedia. (I know, how old does that make me?!?) I “hounded” my parents until they surprised me with my first beagle, and from that point forward, every special story of my life includes a beagle. My husband and I started our journey with TBR by helping with fundraiser events and then fostering beagles in our home. I fell in love with the organization, the people and the dogs. I was proud to join the team as an Application Coordinator for adoption applicants and am now honored to also serve on the Board as Administrative Coordinator. We continue to foster beagles and assist in every way that we can. It’s truly a labor of love for this beagle girl! 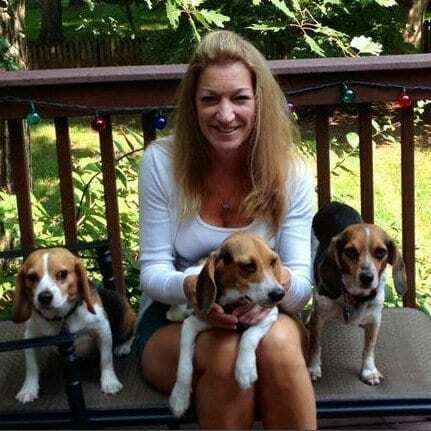 Leann adopted her first beagle Taime when she was in college and got to spend 18 years with her. 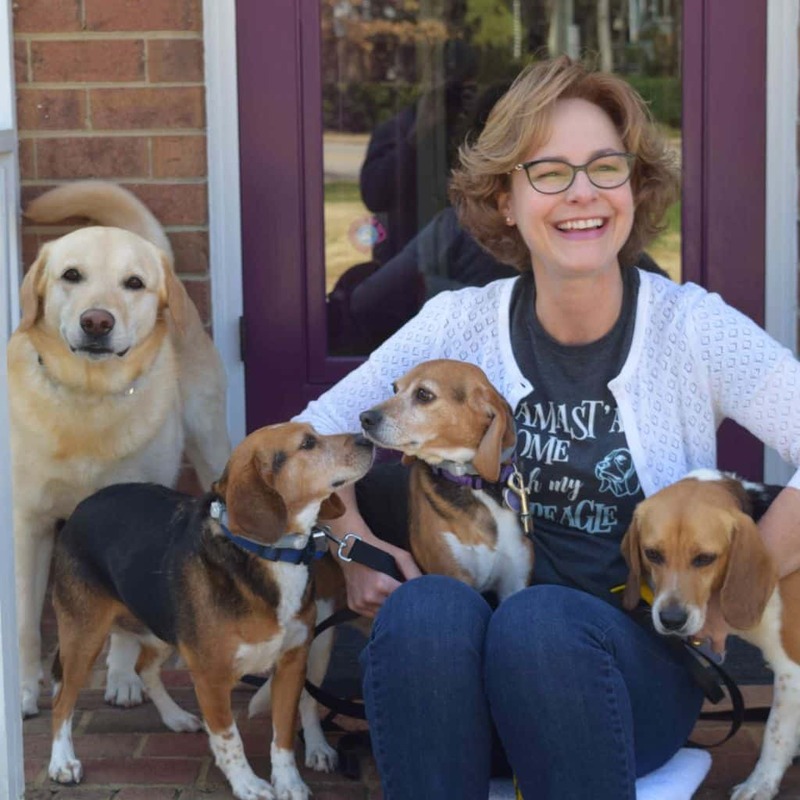 After she moved from CA to NC, she googled beagle rescues, found Triangle Beagle Rescue and has been volunteering with the group for about 5 years. 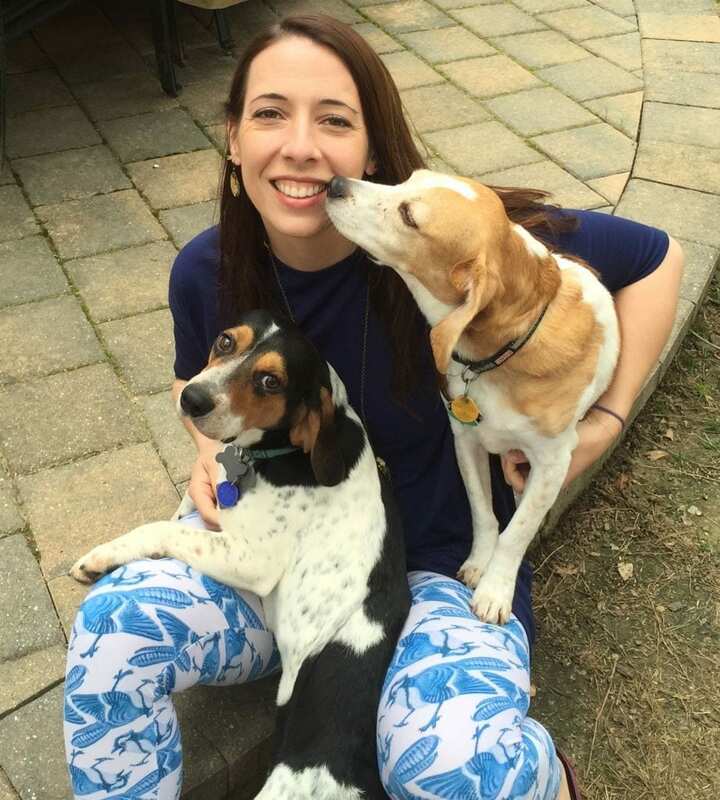 As the marketing coordinator she does all of the social media marketing, helps to coordinate events and fundraisers and promote the foster beagles so they can find their forever homes. Her favorite part of working with the rescue is keeping track of the beagles that she has fostered or helped along the way and watch them enjoying their new rescued lives. 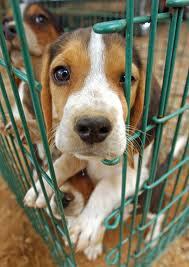 Beagles are such wonderful, fun loving dogs. They can be silly, quirky and at times a lot of work. They are also one of the most loving dog breeds I’ve ever experienced. My husband and I were immediate foster-failures with our first foster dog Charlie. Charlie is a funny, loving and very loud addition to our family. Serving as foster coordinator is now my way of helping as many of these wonderful beagles as I can find their forever homes. Winston the beagle was my first dog, and my first love. He was a lab dog at Purdue vet school, and after months of begging and pleading, my professors let me take him home. He was an honored family member for 16 years and we love seeing a little bit of Winston in the beagles that come to our home. My family has really enjoyed fostering for TBR, both because of the amazing dogs and the amazing people we have met along the way. 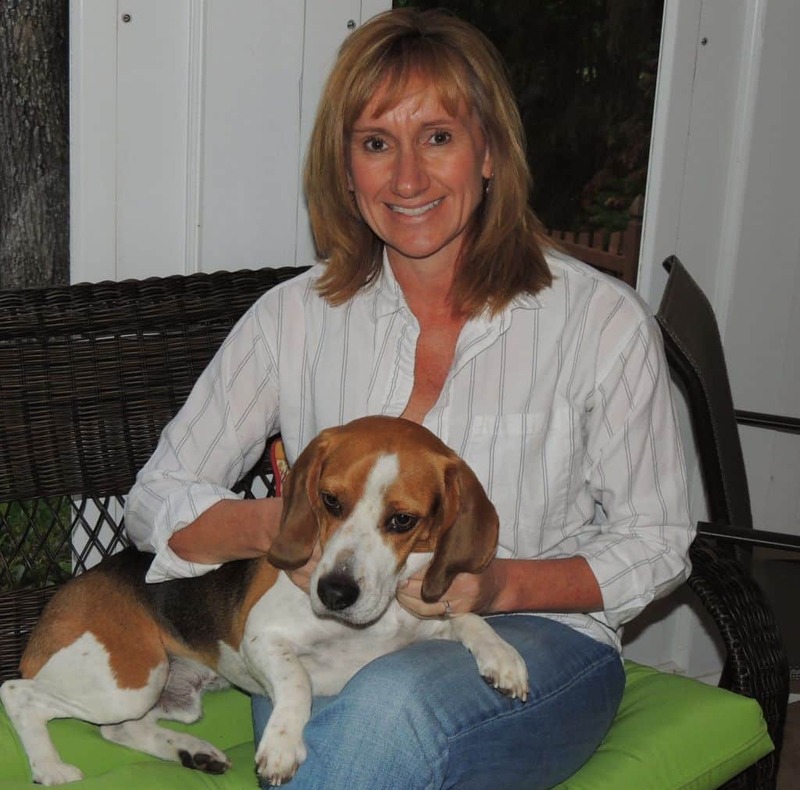 As a foster coordinator, I hope to help many beagles find the families they so deserve. Our story begins with our first beagle, Miley, that we adopted in 2007. We decided that she needed a playmate, so our adventure with TBR begins. We adopted Peyton from TBR in 2009. That is when we started vacation fostering for TBR. As they say, things steam rolled from there. Our family became full time fosters for dozens of dogs over the years. Everyone of those dogs has held a piece of my heart. People ask me how I can let them go after they have lived with us. I just tell them that they are going to a great home and I get to help another dog out of a shelter. I became a “failed foster” when our family adopted Carter in 2013. I just couldn’t give that boy up. He makes us smile every day. 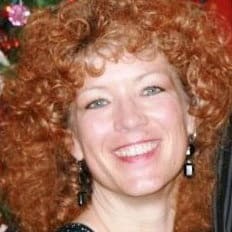 I have been adoption coordinator, foster coordinator and now back to adoption coordinator. My favorite part is when I receive updates and pictures of past fosters in their new homes. It reminds me of why I am a part of this great organization. I was owned by a beagle for 16 years. He was truly my first child and I mourned his loss so deeply. In his memory, I decided to get involved with Beagle Rescue. Triangle Beagle Rescue of NC was just getting started when I contacted them about volunteering. Now thirteen years and countless foster beagles later, I am proud to be a member of the Board of Directors. Like any good Rescue Volunteer, I do a little bit of everything. I am currently the Intake Coordinator for the group. I love to foster beagles and enjoy helping bring the beagles into Rescue. I think I’ve been in every Shelter in NC over the years in Rescue. I have had dogs my entire life, your classic “mutts” from our local shelter that were full of love. Bigger dogs were always my favorite … until our lemon beagle, Bandit rescued my husband & I. He was our first family dog as a newly wed couple and absolutely melted my heart. TBR is a group of great people who do amazing work for our beagle buddies. We happily fill our home by fostering beagles in addition to our mixed breed pack of 3. Beagle puppies is our preference … who doesn’t love puppy kisses?! I am proud to serve this group as Treasurer – helping ensure our future to continue to afford the rescue and care for as many beagles as possible! 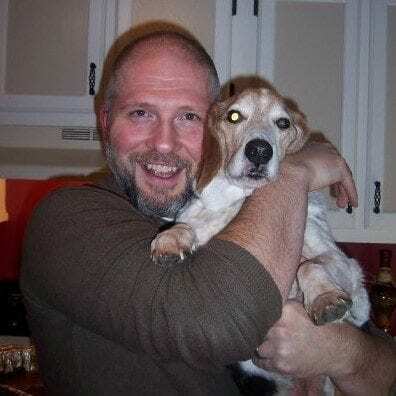 Dan rescued Junior, his first beagle, in 1994 as a stray. Years later after he met his wife Tina, she found her first beagle (J.J. aka Junior Junior) abandoned on the side of the road. 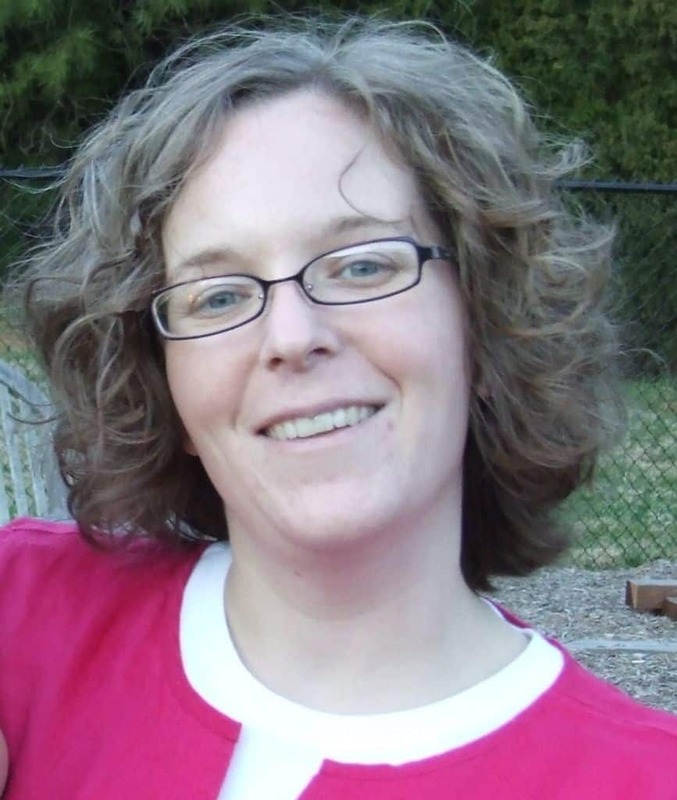 After Junior passed away in 2009 this couple dove right in to TBR by becoming, adoptive parents, foster parents and eventually board members.